Charlotte-based Firebirds Wood Fired Grill plans to open its first Georgia location next year on Old Milton Parkway at the new Atwater development, across the street from Avalon. Roots in Alpharetta predicted this back in April, and the deal is finally in place. According to the restaurant's website, "Firebirds Wood Fired Grill serves classic American cuisine infused with bold flavors, fresh herbs and spices." Sources say there may be additional Firebirds locations in the works in metro Atlanta. 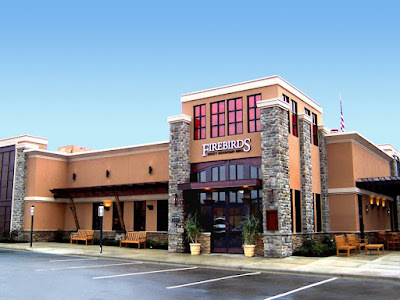 Firebirds, which was named a 2014 "Breakout Brand" by Nation's Restaurant News, has about 40 locations in 14 states. F&H Food Trading Group has sold their "Real FIX Pizza" shop in historic downtown Roswell. The pizza restaurant, named for co-owner Fikret "Fix" Kovac, opened last August after months of delays. The group continues to operate Little Alley Steak, 1920 Tavern and Salt Factory Pub in historic downtown Roswell, in addition to Salt Factory Pub locations in downtown Alpharetta and downtown Woodstock. The controversial Walmart Supercenter in Suburban Plaza near Decatur is slated to open November 11th. Party City has officially closed its location at Sandy Springs Plaza on Roswell Road in Sandy Springs. 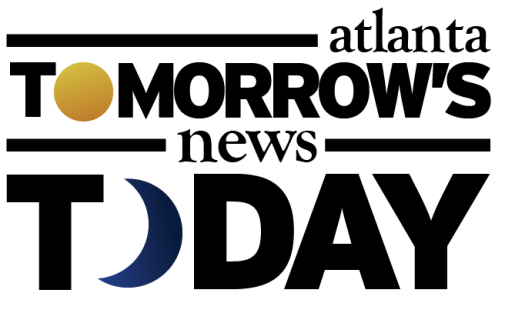 The store closed following the Halloween holiday and reportedly has no immediate plans to reopen elsewhere. FOX's, which temporarily relocated from Powers Ferry Square to a different space in the center over the summer, will again move and reopen in the 10,000 square foot Party City space next spring. American Girl has opened a temporary holiday kiosk at Perimeter Mall in Dunwoody. The kiosk is located in "Zone C" on the mall's lower level. Georgia's newest Bojangles' opened earlier today on Old Peachtree Road in Lawrenceville. Local residents voted to create the new City of Tucker while nearby others voted to strike down the proposed City of LaVista Hills. Firebird's is in the Houston's/Ted's Montana Grill vein -- lotsa wood, leather, and basics. The one in South Charlotte does bang up biz and for awhile 2003-06ish was pretty good. But the prep just kept getting more haphazard and value was never really there has it is all such simple comfort food, so it fell off my rotation. I can see why they picked that spot near Avalon though -- their demo to a T.
The new Total Wine and More opened in Brookhaven last Thursday (October 29). It looks like Steinmart is not too far behind. Yea but with no liquor it's off my list of places to visit.